Sony's SmartEyeglass is reminiscent of your old monochrome monitors, Microsoft's HoloLens' games look intriguing, but who knows when that's coming out and Google Glass, well, we're not sure what the future holds for Glass. BMW's vision of augmented reality is still a ways off as well, but it's recently partnered with Qualcomm to announce something rather unexpected: a pair of AR glasses meant specifically for, of all things, driving a Mini. It looks and sounds ridiculous. But the thing is: It's actually pretty damn impressive. 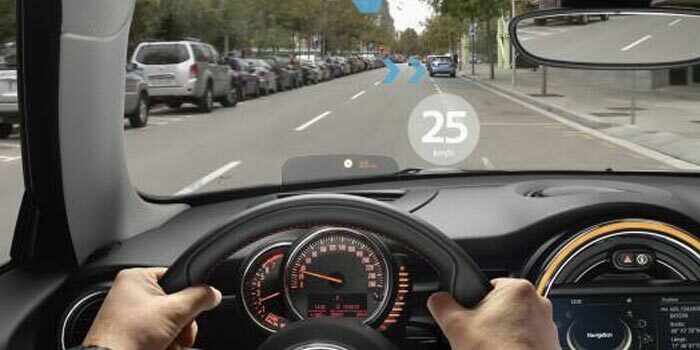 The Mini Augmented Vision AR glasses essentially take the HUD technology currently found in some cars and place it on your face, but with features far beyond what can be projected on your windshield. 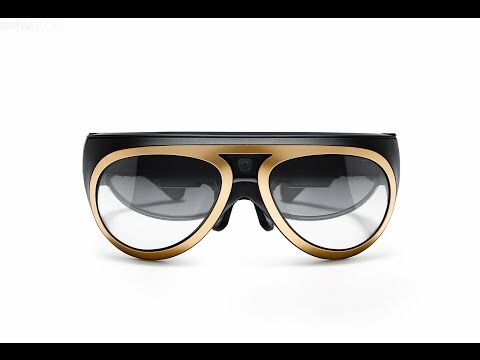 A collaboration involving BMW, Qualcomm and Osterhout Design Group (ODG), the eyewear is based on ODG's R-6 Smart Glasses and uses Qualcomm's Vuforia AR tech to bring BMW's vision of in-car displays to life. "When we heard from the BMW group in September of 2013, our first reaction was, 'Is this an app for Glass? What is this?'" Jay Wright, vice president of Qualcomm's Vuforia division, told Engadget at a media event. BMW has been working for decades on enhancing the driving experience, crafting a solution that works with AR. It wasn't until recently that technology caught up with that vision. Right off the bat, the Mini glasses strike me as larger and heavier than the typical eyewear you'll find from Oakley or Warby Parker. They're fine for a cross-town jaunt, but I wouldn't want to wear them for much longer than an hour at a time even though they do look cooler than your average AR headset (which doesn't say much). But even with the fashion elements added to them, Wright made an observation: "Maybe if I'm sitting in my car, I'm a little less concerned about how I look than sitting in a restaurant with my friends." The one-time setup process takes about a minute. With one eye closed, you align a frame in the display with a frame on a poster, and then repeat the process with the other eye. If you're outside of the vehicle, you can manipulate the display via a button on the right temple -- swipe up and down to navigate and press to select. As part of the demo, I'm told to look at two event posters with the glasses on. The first poster shows an overlay that informs me that particular event is sold out. (Even in the virtual world, I'm unable to score tickets to cool shows.) The second event poster, however, says that seats are still available and I could attend if I wanted. It even gives me walking directions to my car and driving directions to the event. In the car, the demo consists of a virtual drive through a virtual world. I see my current speed and upcoming street names hovering before me. Animated arrows show where I would have turned had I actually been driving. An errant basketball unexpectedly rolls onto the street, but using the glasses' X-Ray feature, I look through the passenger side of the vehicle to see it bouncing along. While I don't imagine encountering too many wayward basketballs in San Francisco, I can see how the X-Ray feature could be useful in navigating the narrow and hectic streets of the city. 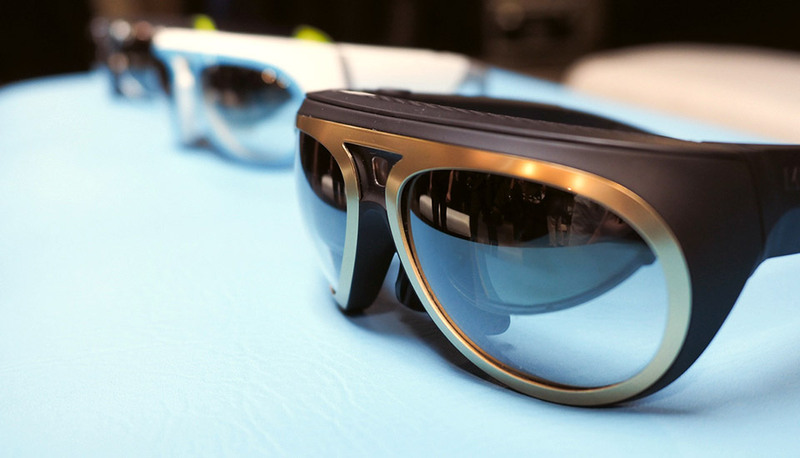 By the end of the demo, I'm surprised to find that I rather like the idea of the Mini AR glasses. Sure the glasses are bulky and I would never wear them while walking down the street no matter how much they help me find my destination (I have a phone for that). But in the car, the information is presented in a way that doesn't distract me from the task at hand. All the visual elements are fixed, so if I look left or right, I don't have to worry about a virtual arrow or speedometer blocking my view of an oncoming vehicle. Of course, a true test would involve using the glasses in a real-world driving situation to see if the visual noise would distract me. That, unfortunately, won't happen for a while; hell, there's not even a production date yet for the glasses. Just like most concept cars, the glasses I tried are still strictly a prototype. While "driving" in my virtual demo, I receive a text message. Because the glasses are integrated into the car, I don't have to swipe anything or yell out commands. I did something I've been doing in cars for years -- I hit a button on a steering wheel to have the message read to me. These goofy Mini-branded glasses might be able to help me see through doors, but in the end, they're also there for safety. "Anything we can do to keep eyes up," Mini's Head of Product Planning and Events Patrick McKenna said. "Don't look away from the road ever. That's the key of it."